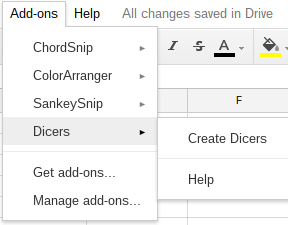 Just like Excel slicers, each icon and value has a tooltip which will be shown if you hover over it. 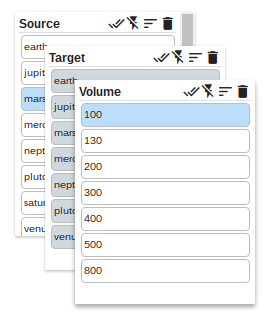 This allows you to see the purpose of icons, or the full value of an item if it’s too long to show in the space available. 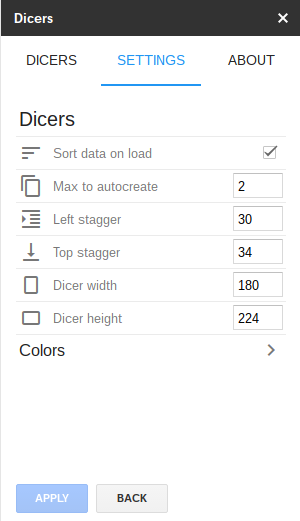 If you move to a blank sheet, then you’ll see this message in place of a set of dicers. 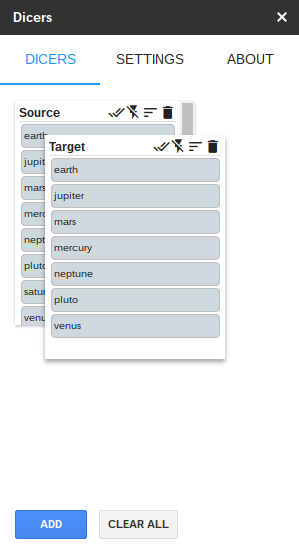 This will allow you to generate some test data to play around with the add-on if you wish. 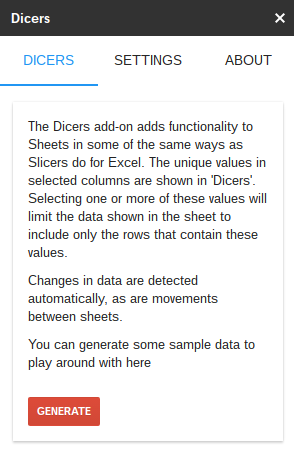 If instead you start to create data in the sheet, then Dicers will notice and replace the message with dicers reflecting your data. 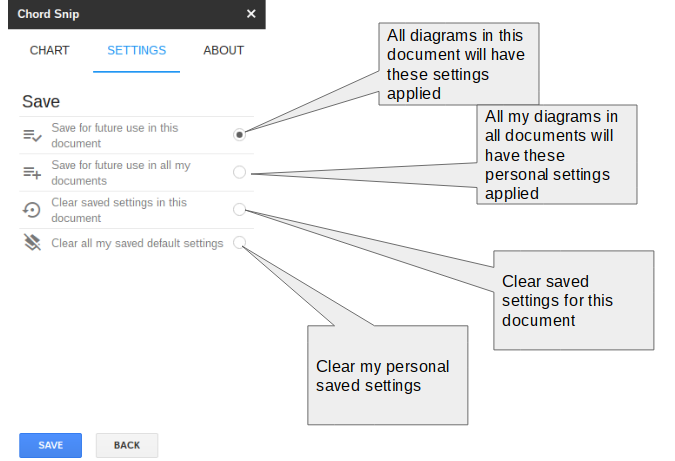 You’ll notice that each settings page has an apply and a back button. 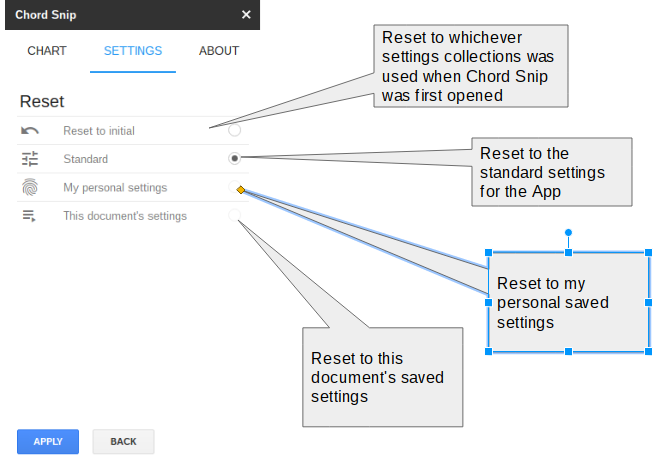 This allows you to undo any changes you’ve made while on this settings page. 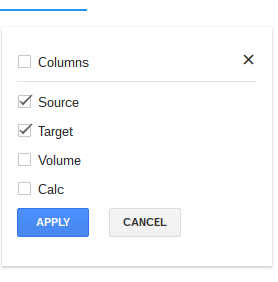 Apply will be enabled if you have made any. 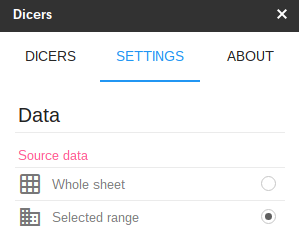 Any changes made on the page are immediately applied to the chart preview so you can flip over to see what it looks like. 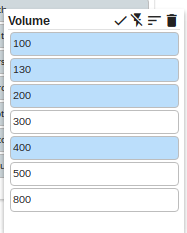 To keep them hit Apply, to get abandon them use Back. 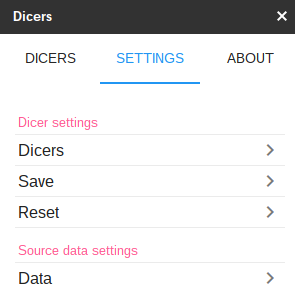 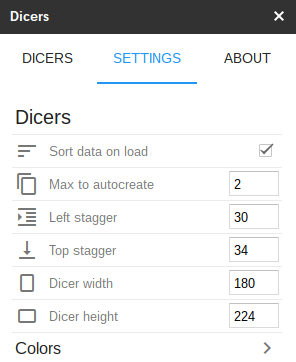 This dialog allows you to retain the current settings so that they will apply each time you open this document, or to every document where you use Dicers. 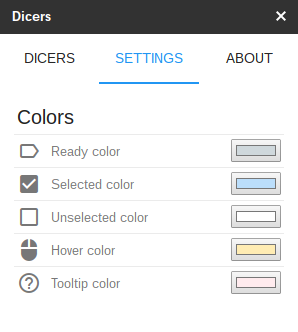 Clear these settings will cause Dicers to revert to it’s normal default values in this and other documents.